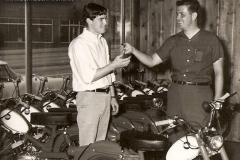 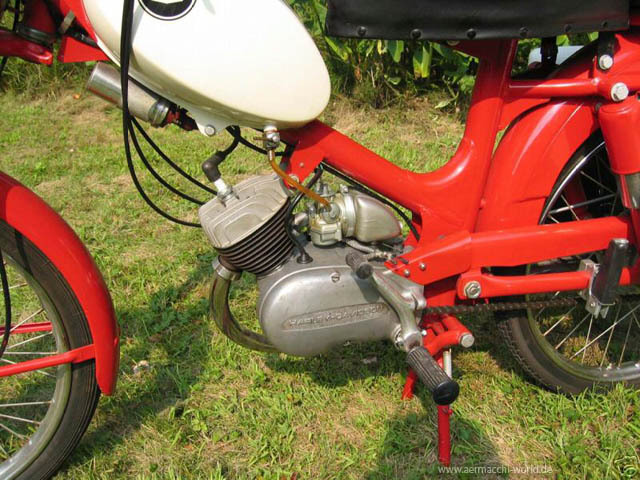 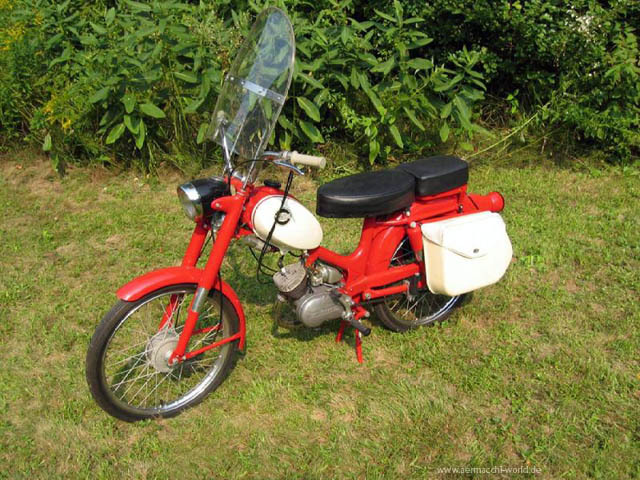 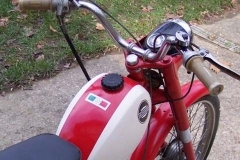 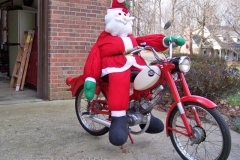 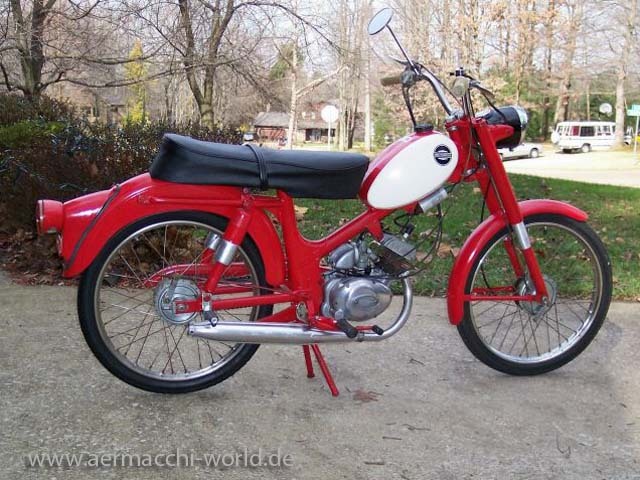 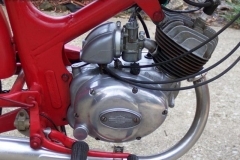 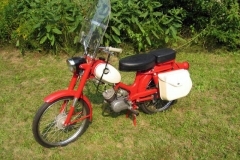 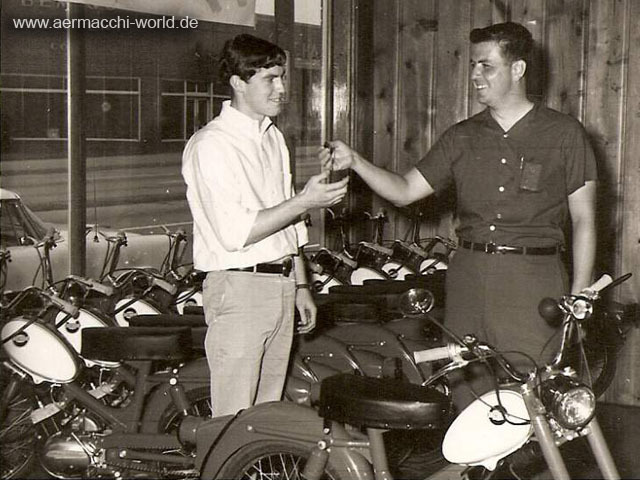 The bike was available with a two tone gas tank (red & white). 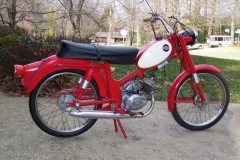 Optional trail sprockets were available for the bike and also a luggage rack could be bought as option. 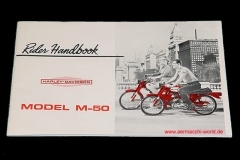 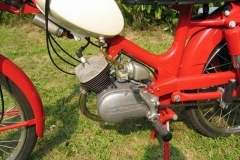 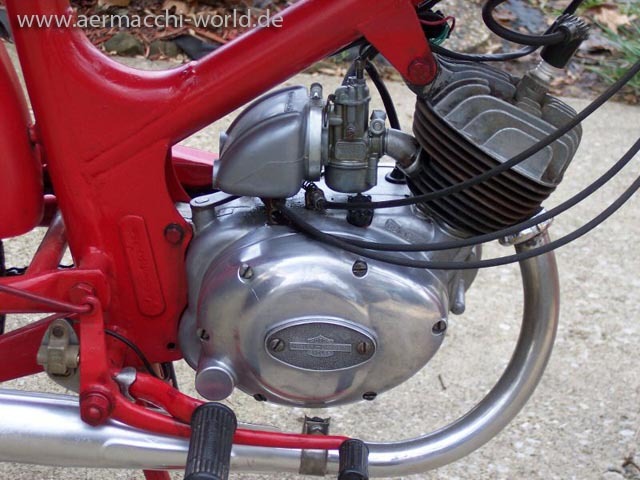 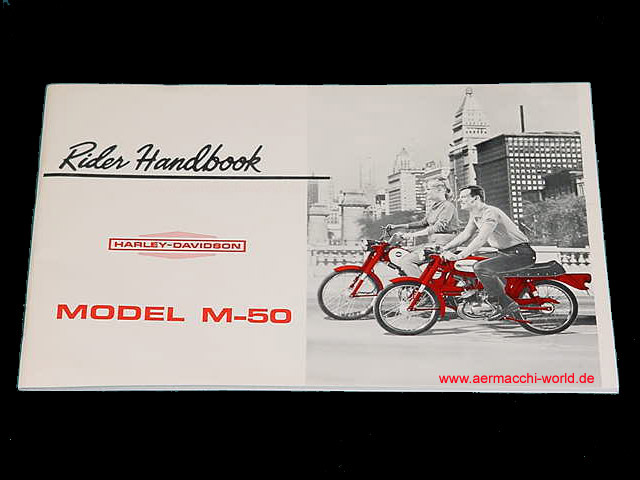 The M-50 was replaced after a short period of production by the M-65 which had a 65cc engine. 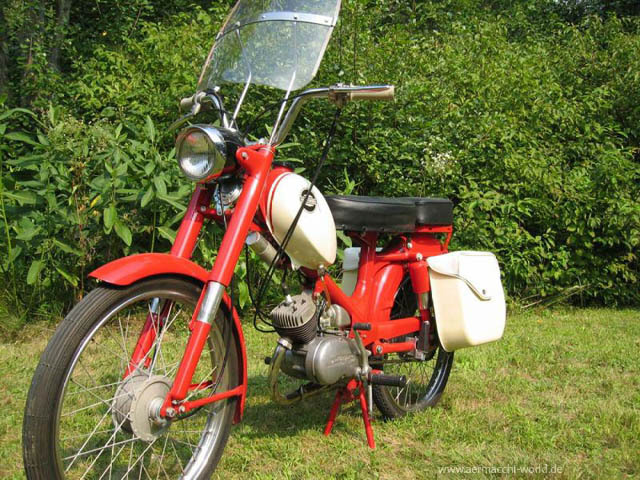 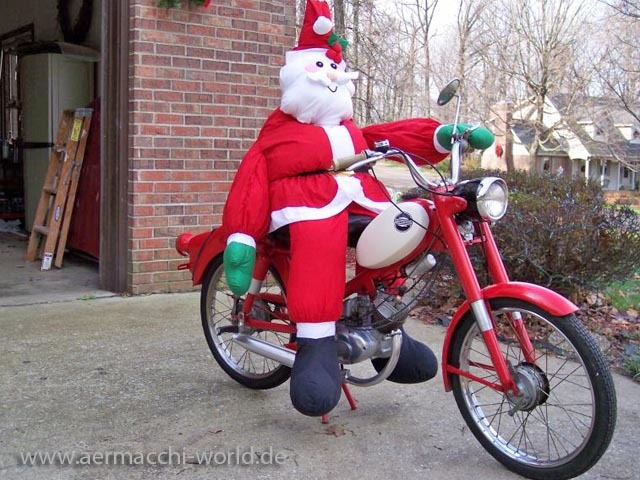 In Europe the bike was called Zeffiretto and sold with minor differences. 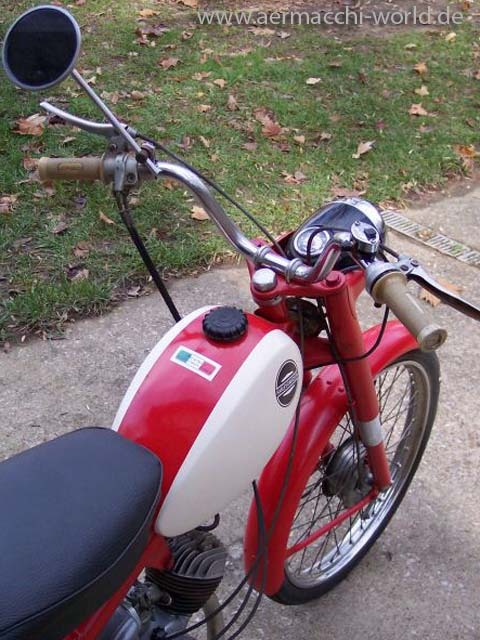 If you need reproduction decals for your restoration, please contact the webmaster.